I've been gone for a while but thought I'd pop in and say hello! Welcome back neighbor! Nice find! Looks good. My kind of color. Mine is the same except has the black spoiler and is an 86 so no V6. Waiting for spring to get here so I can work on it to be my daily driver. Good call. I think the black spoiler gives it the right amount of contrast with the rest of the black parts. Make sure you post some pics when you get it done. I think I saw you on my way to work this morning. That's a damn clean looking S12. Thanks guys! I really need to get some suspension in this thing its bad lol. Also needs a buffing paint is soooo faded. 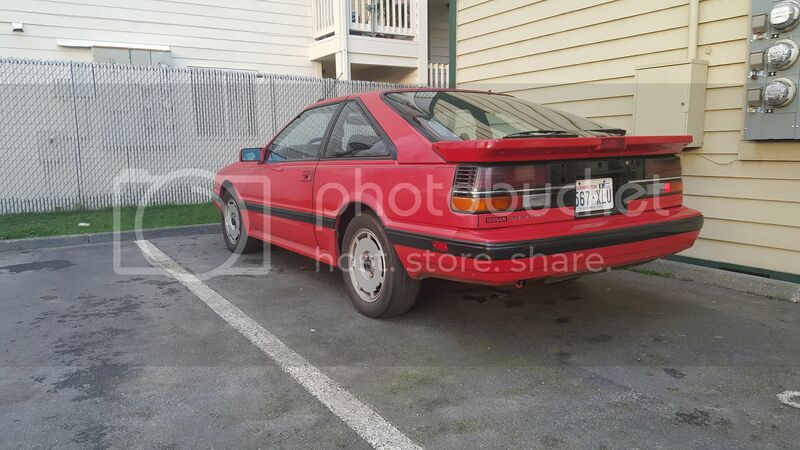 What theres another s12er in everett?